It was a great week to see Michael Fassbender back in the public eye after two months of being very low profile while working in New Zealand. As we learned this week, filming is complete on 'The Light Between Oceans' and Michael has been enjoying some R&R in Sydney. This week I mailed off the annual FF Christmas greeting to London where he'll get it upon his arrival back home. Also this week it was announced that 'Slow West' will be shown at the Sundance Film Festival (HitFix). I posted at the FF Facebook page that for 2015, if any FF community readers plan to attend any film festivals next year where Michael will be in attendance, please reach out to me to let me know your plans as we would like to branch out a bit more into a journalistic FF team of event reporters. Last year Vera came thisclose to capturing exclusive close ups of Michael in Russia for an X-Men premiere, but the crowd control was out of control. Also speaking of the FF Facebook page, Vera and Stephanie have done an outstanding job in helping me establish a career and life timeline of Michael Fassbender. Now that I'm feeling more comfortable with Facebook and how it functions, still not a big fan of it, but I find that it's easier to post very quick updates there of stuff I don't need to post here. So we're developing the Facebook page on a regular basis and when things are quiet here at the blog, please fall back on FFF - along with checking in on it daily - to see what's been posted, and most particularly, mind the timeline to see what we've added there. although I'm also not a fan of FB, I've an account on it. Not posting anything but just looking at all those 'interesting' activities from my 'friends'. Off course I follow FF at FB and I must say that the girls do a fantastic job! 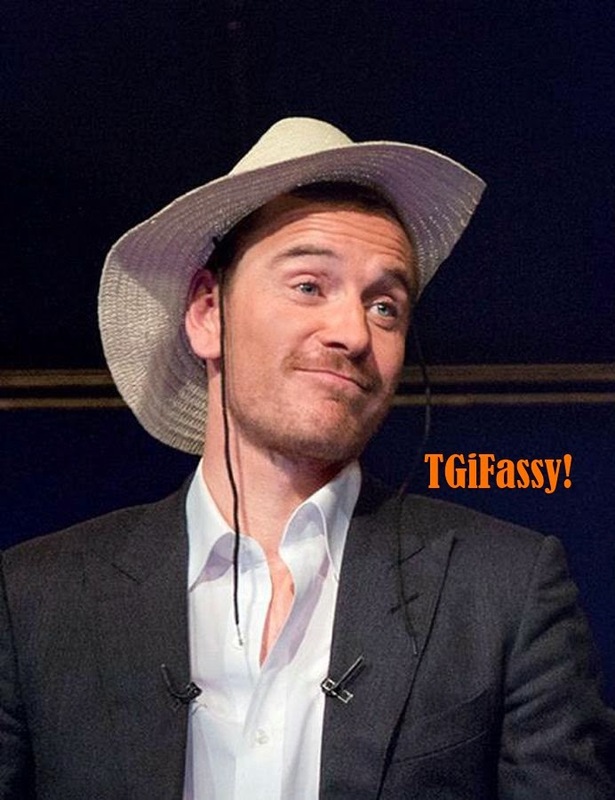 Have a great weekend and let's wait and see what will happen on the Fassy Front.